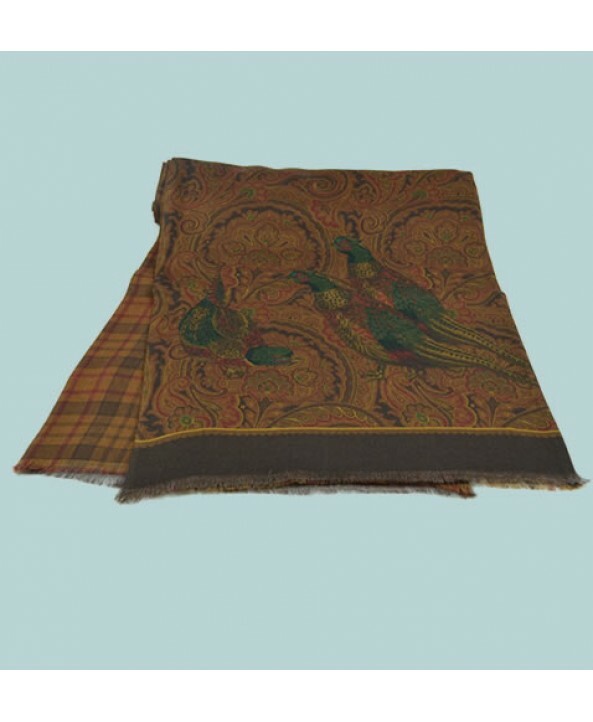 This fabulous silk and wool scarf has a country-look pheasant and paisley pattern in green, red and gold on one side complemented by a stylish tartan check silk and wool backing in tan, red and chocoloate on the other side. This scarf is hand-made in Italy. 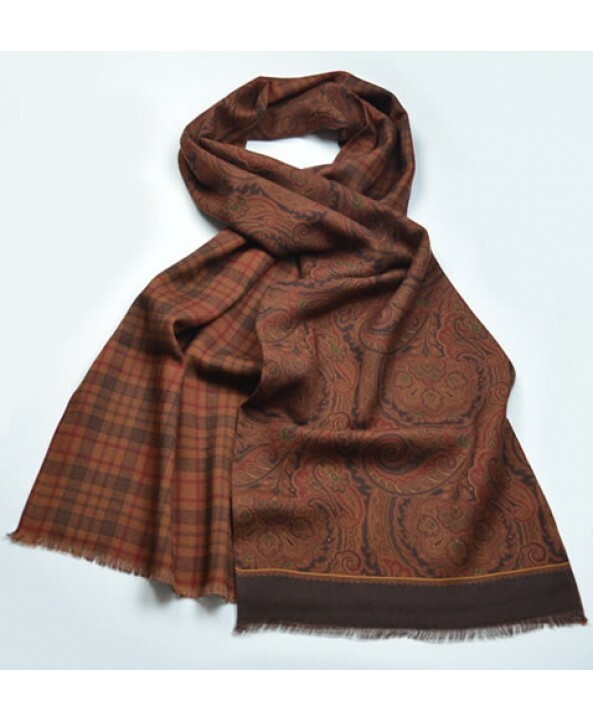 The fabic is composed of a blend of silk and wool composed of 70 % wool and 30 % silk.